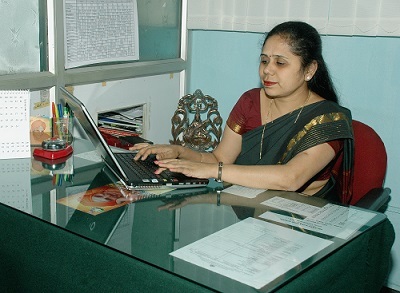 As the principal of Sri Sarvajna Public School, I feel gratified to write about our esteemed institution. I would like to highlight that there lies a healthy aura that reverberates throughout the campus; right from the first bell where the students gather for their morning prayers till the end of the day at school. With every morning, there is a promise of an exciting day, a day to learn about a new thought or an idea at school. Here at Sarvajna, the teachers are ‘guide by the side’ to the students. We make education a process which qualifies the students to be successful individuals. We put on multiple hats to bring about a collaboration of best practices and strategies that aids in effective teaching and learning process. To serve the best interest of every child, we play an important role in being a counsellor, a surrogate mother/father and someone to whom the child can open up without hesitation. Following the footsteps of our renowned founder of Sarvajna, Sri B S Paramashivaiah, we as an institution have instilled a strong value system. We are valiantly trying to bring out the hidden virtues and inculcate strong ethics and morals in the blossoming young minds. It gives me a sense of pride to echo the fact that our education curriculum offers a great balance for children to grow intellectually as a complete individual. At Sarvajna, we bring with us the promise of trust, belief and a value system through which we aim to nurture a child and help him become an invaluable asset to the society.